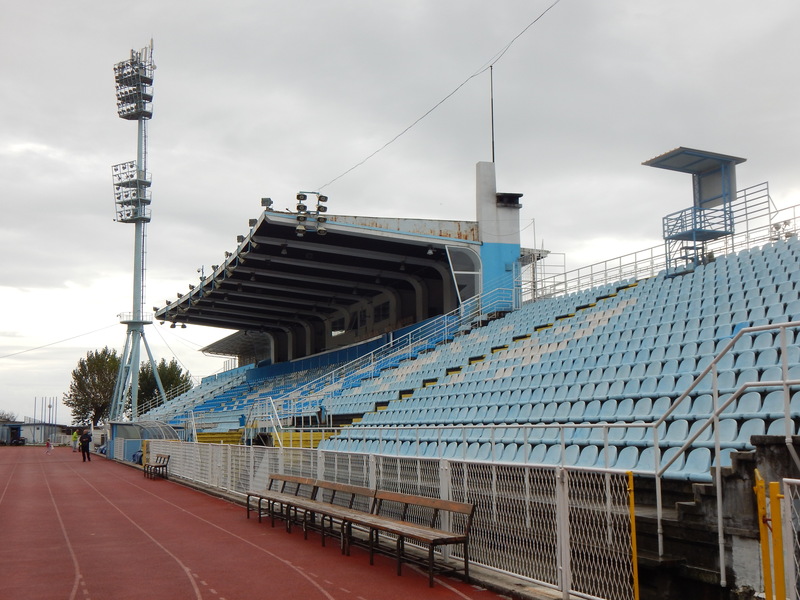 There has been a football ground at the site of Kantrida since 1911 when HŠK Victoria played their first match there against HŠK Građanski Zagreb. 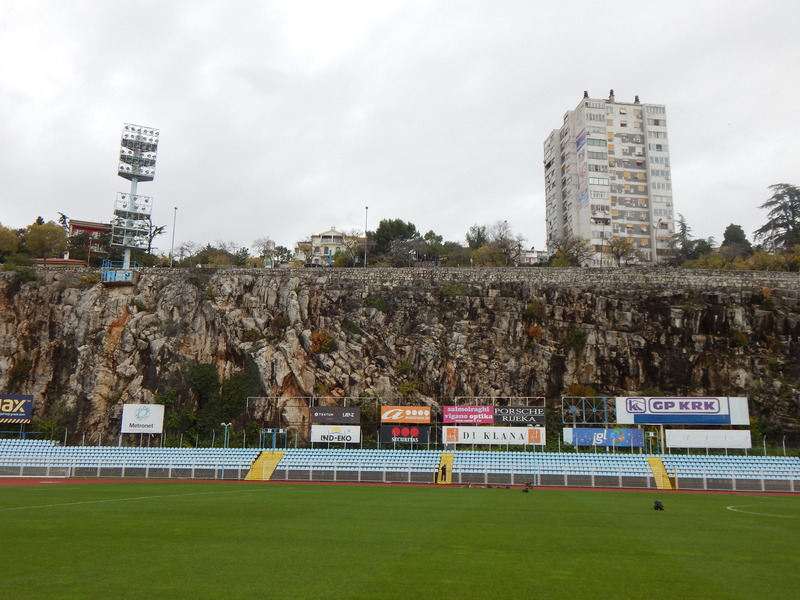 The football field was laid out in the bottom of a former stone quarry on the banks of the Adriatic Sea, giving the Kantrida its iconic and distinctive cliff side location. Following the collapse of the Austro-Hungarian Empire in 1918, Rijeka became part of Italy while Sušak, then a separate town, where the Kantrida is situated, remained part of Yugoslavia. 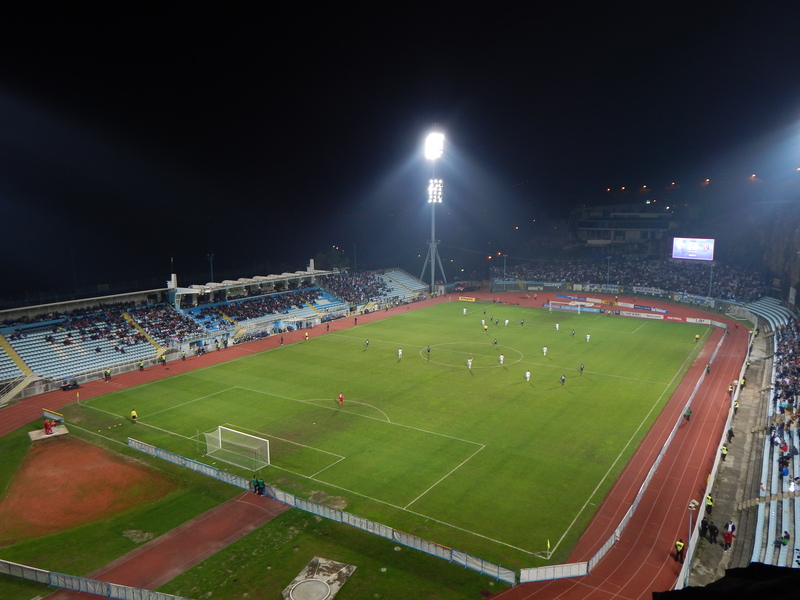 This meant HŠK Victoria could no longer use their own stadium and the Kantrida was occupied by Unione Sportiva Fiumana, a club competing in the Italian league system. Fiumana played at the stadium between 1926 and their dissolution in 1945. During their stay the Kantrida was renamed Stadio Comunale del Littorio, but was also called Borgomarina, the Italian name for the area of Sušak. Following World War II, Rijeka was returned to Yugoslavia and both Fiumana and Victoria were disbanded. 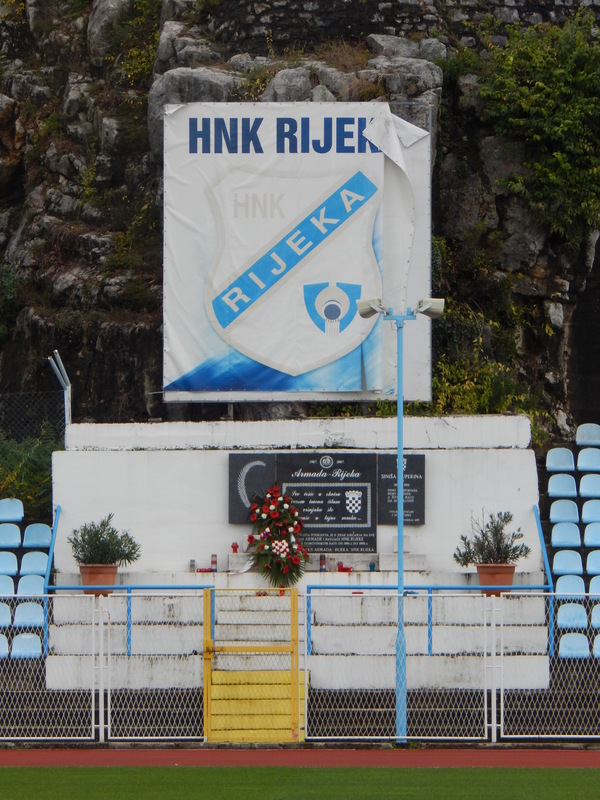 A new town club, NK Kvarner were formed and in 1954 they changed their name to NK Rijeka. 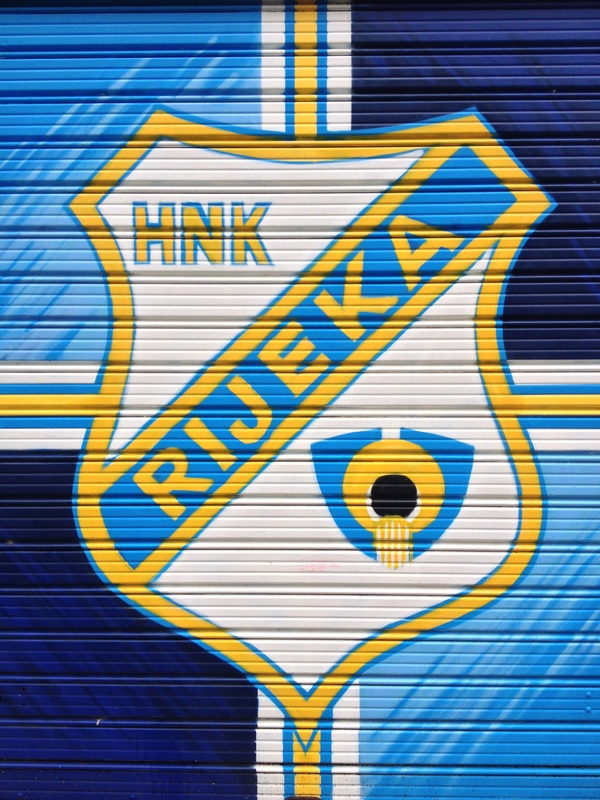 Rijeka never won the Yugoslav League and indeed have never won the Croatian League since it’s inception in 1992. The club have been runners up on three occasions but just seem unable to break Dinamo Zagreb’s stranglehold on the domestic championship. Out of the 23 seasons of the Prva Liga, Dinamo have won sixteen of the championships (five as Croatia Zagreb) while Hajduk Split (six) and NK Zagreb account for the remaining seven successes. 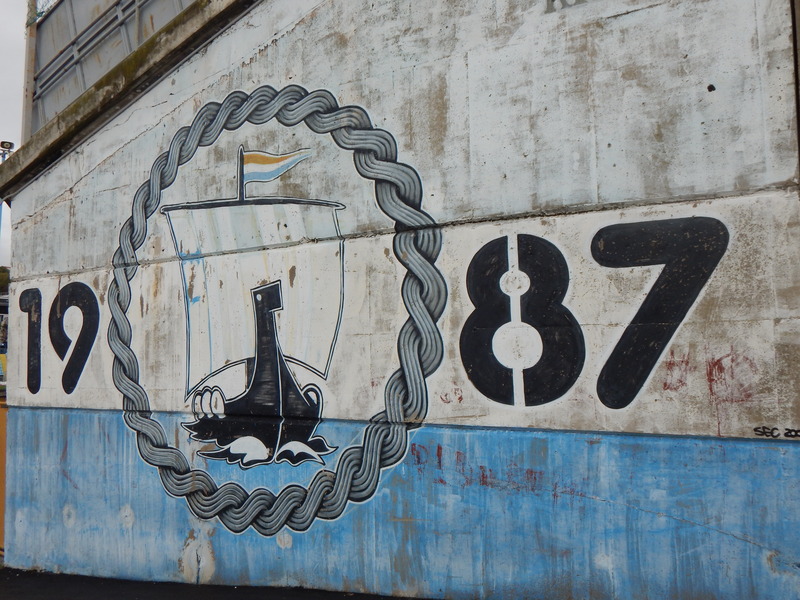 The Whites of Rijeka, however, have won the Croatian Cup three times and also took two successive Yugoslavian Cups in 1978 and 1979. 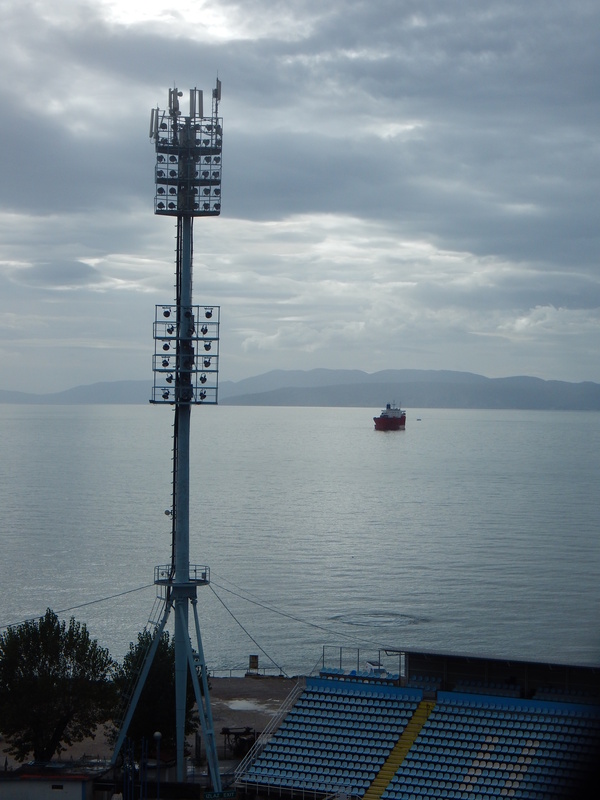 To their credit Rijeka have qualified for the group stages of the Europa League for the last two seasons. Prior to this their greatest success in Europe was a Cup-Winners-Cup quarter final place against Juventus although they went out 2-0 on aggregate with goals coming from Juve legends Franco Causio and Roberto Bettega. During the 1950’s the Kantrida underwent extensive renovation and had a new capacity of 25,000. However, UEFA safety standards saw this capacity slashed by half in recent years. 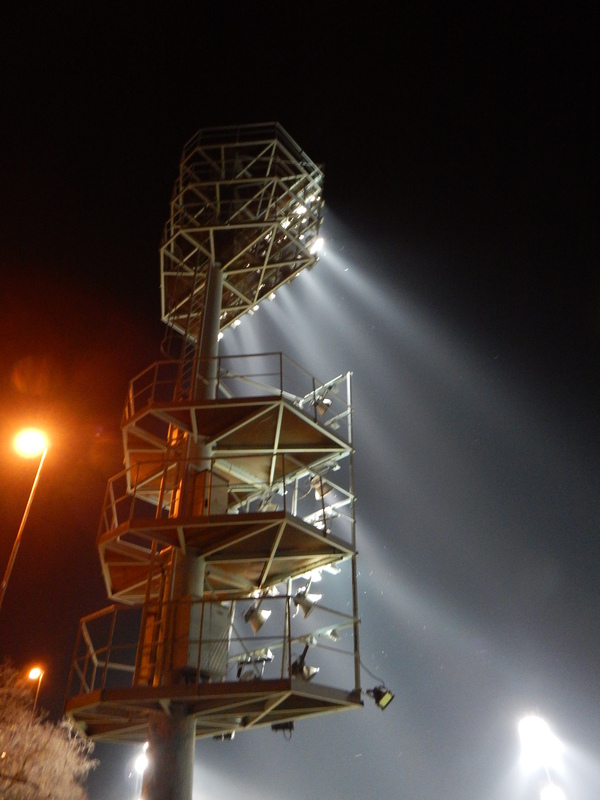 This did not stop the May 1999 Prva Liga clash with NK Osijek attracting an all time record 25,000 spectators to the stadium. 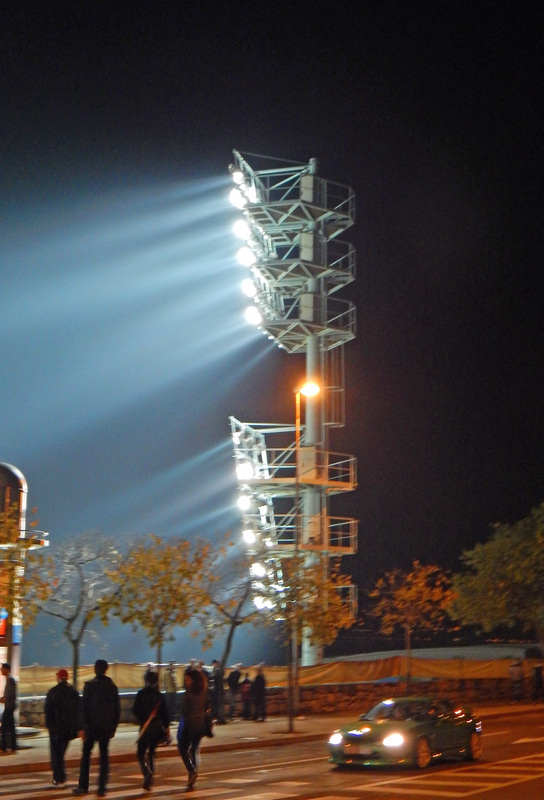 The Kantrida gained its unique double gantry floodlight pylons in 1975. The two pylons on the sea side of the ground were designed to replicate ships masts while the two on the top of the cliff are mounted at street level. For cars passing on the Istarstka Ulica it must be a truly bizarre spectacle. 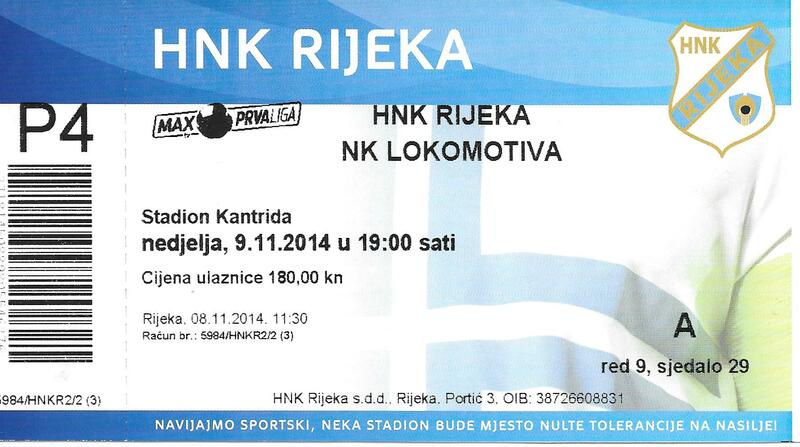 Tonight’s match against Lokomotiva Zagreb is televised and feels like a really big deal. The crowd is excited from the start and the support from Rijeka’s ultras group Armada is boisterous and unrelenting. 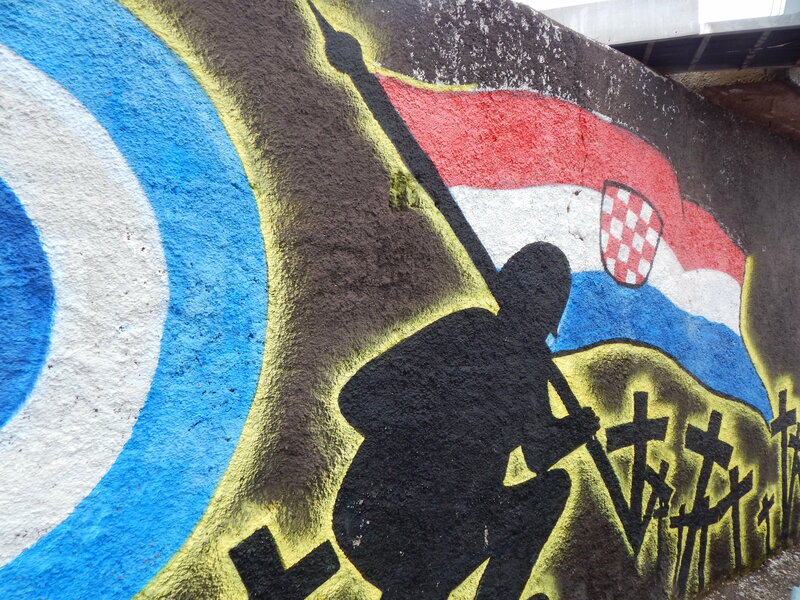 The ultras group were formed in 1987 and have their biggest rivalries with Tordica (Hajduk Split), Bad Blue Boys (Dinamo Zagreb) and Kohorta (Osijek). 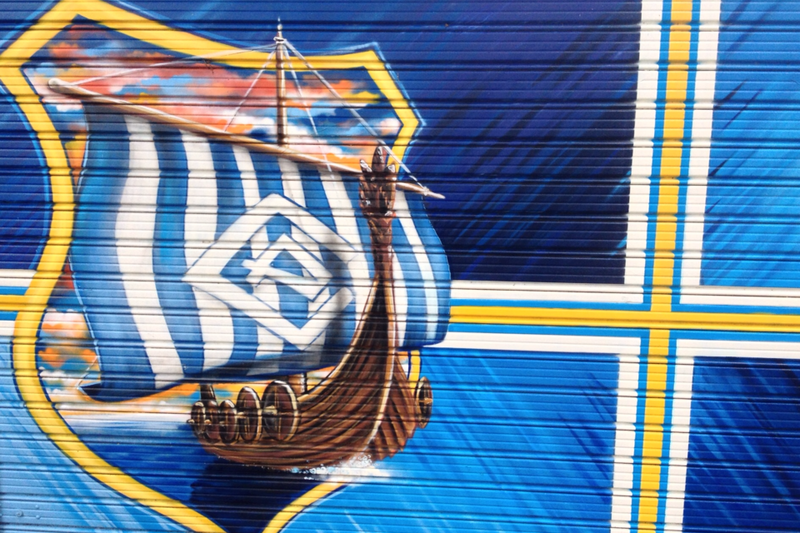 Armada’s murals around the Kantrida are really stunning. The match itself panned out to about one man, the Rijeka striker Andrej Kramarić. He scored five goals in a truly stellar display of the art of the centre forward play. His clinical finishing had the result of the match out of sight by half time, the pick of his strikes being a superb volley for his fourth goal. Kramarić started his career at Dinamo Zagreb and scored in excess of 450 goals at youth level before turning professional. His career started well but he fell out of favour with manager Vahid Halilhodžić and was loaned to Lokomotiva for a season and half. 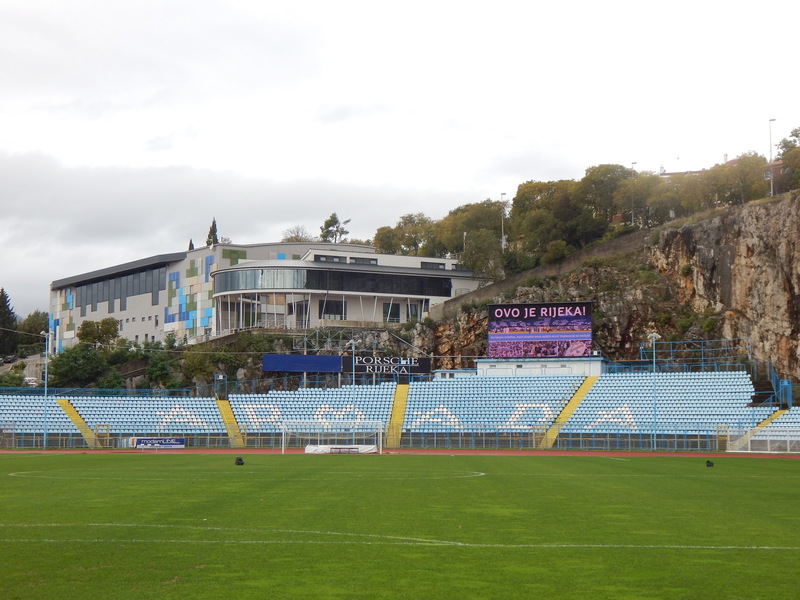 His fall out with Dinamo turned into Rijeka’s advantage when he joined the Whites in August 2013. He currently has 21 goals this season and to put that in perspective the Prva Liga’s next highest scorer is Dinamo’s Duje Čop with nine! In 58 appearances for Rijeka he now has 54 goals. What is equally baffling is his haul of just three caps for Croatia, while seven of his Rijeka team mates were involved in Croatia’s international against Argentina at Upton Park, 23 year old Kramarić was left at home. He is definitely one to watch for the future. After Kramarić left the field to a standing ovation from the Rijeka fans his replacement Josip Ivančić scored the sixth goal of the night with his first touch. A truly impressive display from Rijeka and so fitting to see such a great home performance in this most wonderful of venues. 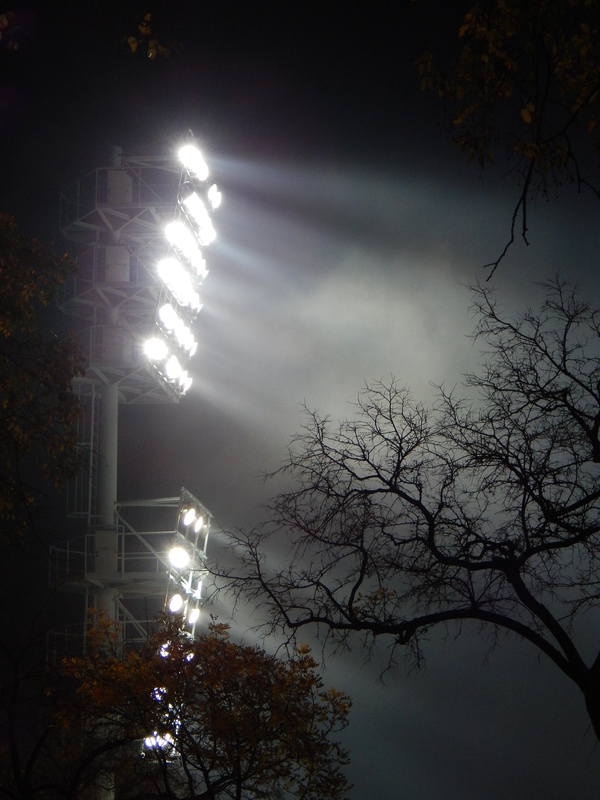 The last game to be played at the Kantrida in its present from is currently scheduled to be a Prva Liga game against Osijek on November 30th. This means there are just two games left at this amazing venue. 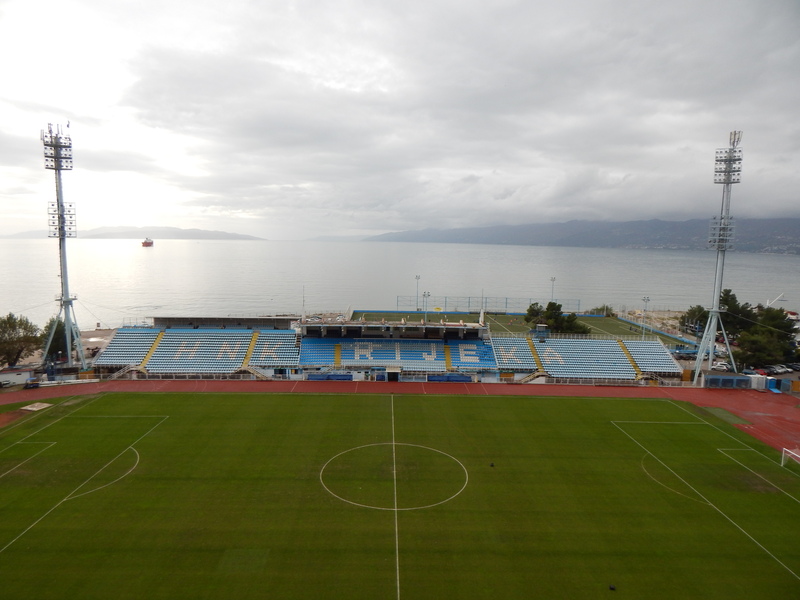 From the resumption of the Croatian League season after its winter break Rijeka will play at a newly built temporary ground called the Rujevica Stadion. This will be a 6,000 all seated stadium on Ulica Hosti. 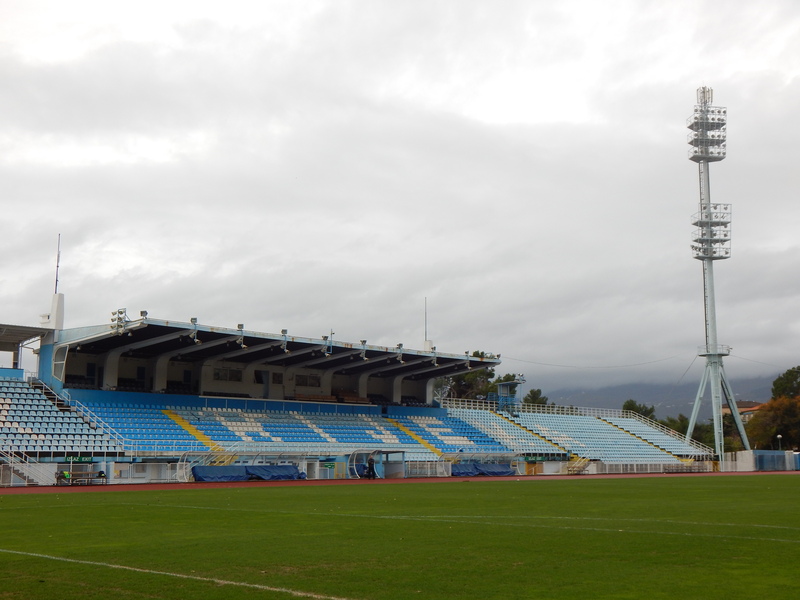 The Rujevica will be home until the new Kantrida Stadion is completed which is scheduled to be June 2016. The new Kantrida will be a fully covered arena style stadium, its architect Gino Zavanella was one of the architects of the Juventus Arena. The new stadium will have seats for 14,438 people and will comply with UEFA’s category 4 status. 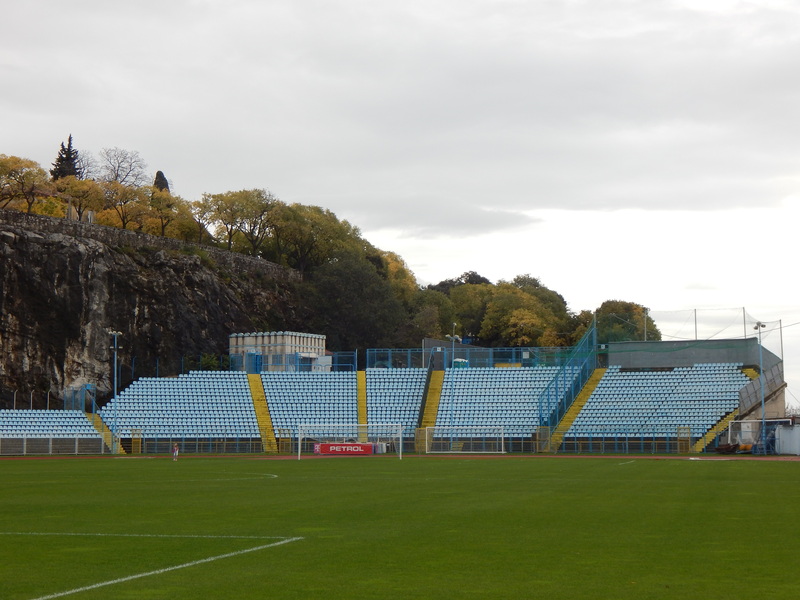 The cost of the stadium has been privately funded and has a budget of €22 million. Of course much of the natural beauty of the Kantrida will be lost with the redevelopment, beauty that saw Eurosport name the stadium as one of the Top 20 most beautiful sports venues in the world in April 2014. The need for the club to push on and try and challenge Dinamo’s domestic dominance is clear but what a cost they will have to bear to achieve this. I feel so eternally thankful to have been able to visit beautiful, beautiful Kantrida. 25. Ivan Vargić, 8. Mato Jajalo, 10. Anas Sharbini ©, 11. Ivan Tomečak, 13. Marko Lešković, 15. Matej Mitrović, 16. Ivan Močinić, 20. Zoran Kvržić, 22. Marin Leovac, 88. Moisés Lima Magalhães, 91. Andrej Kramarić. Subs: 32. Andrej Prskalo, 14. Goran Cvijanović (for 16, 74 mins), 19. Miral Samardžic, 28. Josip Ivančić (for 91, 84 mins), 29. Marko Vešović (for 20, 79 mins), 89. Vedran Jugović, 99. Ivan Krstanović. 12.Simon Sluga, 3. Mario Musa ©, 5. Tomislav Mrčela, 6. Josip Ćalušić, 7. Damir Šovšić, 9. Ante Rukavina, 10. Domagoj Pavičić, 11. Karlo Bručić, 16. Jerko Leko, 19. Herdi Prenga, 21. Mirko Marić. Subs: 1. Oliver Zelenika, 4. Jakov Biljan, 8. Luka Begonja (for 21, 28 mins), 13. Filip Mrzljak, 20. Petar Mišić (for 10, 65 mins), 22. Marko Kolar, 25. Jan Doležal (for 19, 81 mins). 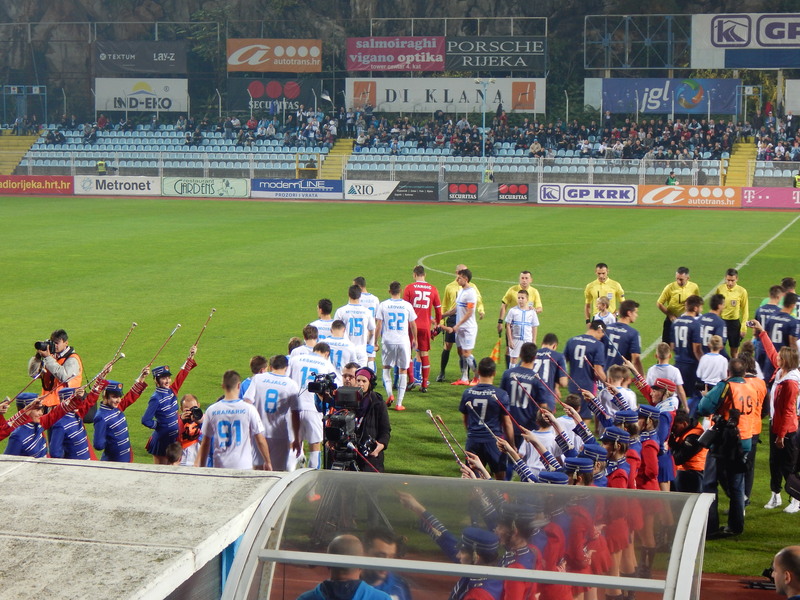 Yellow Cards: Kvržić, Tomecak (Rijeka); Begonja (Lokomotiva).